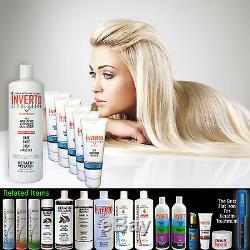 INVERTO REVOLUTION PROFESSIONAL KERATIN HAIR TREATMENT. TREAT WASH N' GO + FORMULATION. 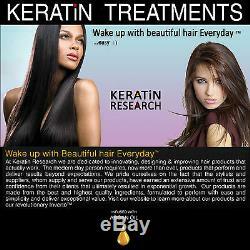 This listing includes: 1x 1000ml Keratin Treatment, 5x 120ml Mask. Patented, Advanced and yet simple to use treatment that instantly straightens, smooths, repairs, conditions and strengthens the hair using an intense conditioning remedy that restores vitality by repairing the hair from the inside out not just straighten as many others... The instant amazing results will leave hair elastic, flexible, and soft, with a naturally vibrant shine. Last for 3-6 months depending on hair condition and length. This is a uniquely versatile treatment that can be used in several ways from just taming, smoothing and removing frizz (45-60 min) to complete straightening of the hair (2-3 hours). 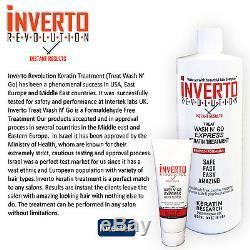 Inverto truly repairs, restores and recondition your hair from within with every use, unlike many other treatment who will leave your hair dull and dry. Some clients do not care about straight hair as much as having a great looking silky smooth shiny hair that can be managed easily on daily basis. So rather than taking 2-3 hours to do a full treatment you can perform a short quick version follow-up every 6-8 weeks that will maintain the hair just as you want it to be, simple and effective that's our promise. 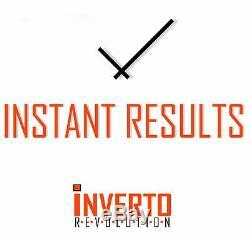 To perform a short version treatment (follow-ups, 6 weeks after the first treatment) we recommend the use of Inverto Keratin Replenisher (Made by Keratin Research). 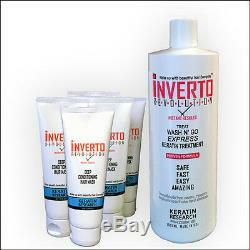 The INVERTO Treat Wash N go Formula. (There are 5 formulations offered to match specific hair types) works well on 1a to 3b hair types and seems to be popular among users with such hair types. The treatment application may take 2 to 3 hours depending on your skill level, hair length and type. If you are purchasing the treatment for yourself, be prepared to have someone else apply it for you. Self-application may be too difficult. Like any hair product, results may vary based on hair type, condition, skill level of the operator, quality of application tools, and adherence to the manufacturers instruction. Do I need anything else? To perform a successful treatment, you will need a flat iron (that can maintain heat up to 450F), blow dryer, comb, clarifying shampoo and well-ventilated work area. Troubleshooting and tips for success. Typically accurate application and matching formulation, based on the chart, will lead to successful results, similar to the continuous experience of others all around the world. The detailed instructions provided with the product are comprehensive and include links to an additional instructional video. Read the entire instruction before you start. 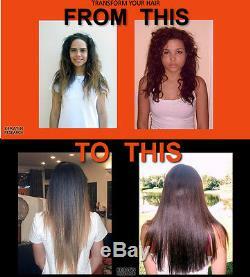 Instantly straightens, smooths your hair for 4-6 months Professional grade Keratin Treatment. Strengthens, Conditions, Straighten the hair using proprietary formulation. In todays busy lifestyle you will find this treatment a life changing experience; Your Hair is more manageable, smoother, fast drying and easy to style. It is suitable for all types of hair including colored and chemically treated. Also available in variety of sizes and kits to suit your needs. 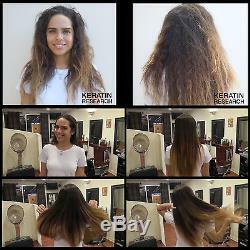 TREAT WASH N GO (FORMALDEHYDE FREE) KERATIN HAIR TREATMENT INSTRUCTIONS. CAREFULLY read all instructions and precautions prior to using the product. In order to discern undesired effects and compatibility issues, please perform a sample test prior to fully applying the product on the hair. Before you start: you will need the following: Cape, bowl, brush, blow drier, flat iron capable of 450F, large hair clips, fine tooth combs (you need it to spread the product evenly), Easy comb and/or heat resistance comb (optional). Work in well ventilated and read all related warnings on the product Important you may use our Advanced Preparation for Keratin Treatment before step 2, as it can improve performance of the treatment by 20-35% according to our in-house research and research partners. Without Advanced Preparation - Wash the hair well with clarifying shampoo; this will enable the opening of the cuticles. Rinse well and blow dry, brush the hair with medium heat until it is completely dry. Comb and separate hair into 3 sections: Left, Right and Back. With Advanced Preparation - Wash the hair well with clarifying shampoo; this will enable the opening of the cuticles. Rinse well and towel dry (no need to blow dry). Please wear gloves and apply Preparation for Keratin Treatment as directed all over the hair, use comb to spread it evenly and deeper, you may feel tingling on your scalp it should go away, if irritation persist rinse and wash your hair. Leave on the hair for 15 minutes. Rinse and Towel dry (no need to blow dry). Divide the hair to three sections Left Right and back. You may notice that it is hard to comb and that is normal when using clarifying shampoo. Start applying the treatment product on very small locks of hair one at a time from the bottom of the Back section, about 1(one) centimeter from the root, then use a fine comb spreading the product evenly to the tips of the hair and verify that the hair is evenly saturated. Leave solution on the hair for 60 (sixty) minutes. Notes: It is extremely Important that the entire hair is completely covered with the solution and that the solution is evenly distributed throughout the hair before proceeding to the next step. Comb through -using the fine toothed comb. Blow-dry the hair 100% (yes while the product is on the hair) using high heat. You may use a round brush to make it easier for the next step of flat ironing. Straight detangled hair makes it better and easier to work with. Continue to Step 3a or 3b based on the hair color. For natural and dark hair colors only: Using a flat iron at 420-450°F (its about 205-232°C) to straighten the hair in combination with a Heat resistance comb. Starting at the nape, move the iron slowly from the scalp to hairs' ends. Assuring the ends are smooth and straight. Go over the same section several times until there is almost no fume (it may take 7-12 times depending on the hair type, condition and part of head it is). Do not overdo since you can burn the hair. For Blondes, light & red Colored hair: set flat iron at 380F-400F (its about 190-200°C) because higher heat may tint your hair to yellow-orangie color to try avoid it please note the hair color may change while you are flat ironing it, so try adjusting the heat as you notice color changes if any. Should that happen you can use a Color Corrector. Straighten the hair in combination with a Heat resistance comb. Go over the same section several times until there is almost no fume (it may take 7-10 times depending on the hair type, condition and part of head it is). Let the hair cool down for 10 minutes or cool it by blowing cold air on it. For Blondes- if color corrector needed, use it at this point if (you have one, if not you can do it another day) and than Wash hair with sulfate free shampoo. ---IMPORTANT: if you feel that the hair came out dry continue with step 5 otherwise skip step 5 and go to step 6. If you feel that the hair came out dry. Towel dry and Apply liberally Deep Conditioning Hair Mask If needed. Wait for 15 min Rinse and blow dry , Thats it. Blow dry using medium heat and enjoy. Whats next, What to do, What to expect? Now that you washed and treated the hair, It is recommended to use a light flat iron touch (360F) over your hair (once a day) in the first few days as the hair is getting used to being straight and getting ready for the change. Avoid strong clips and pony tails bands until you have washed your hair again. If a color corrector needed you can always use it another day. TIP: It is recommended to use a light flat iron touch (360F) over your hair (once a day) in the first few days as the hair is getting used to being straight and getting ready for the change. MOST POPULAR Concentrated Formulation Sulfate Free Shampoo & Conditioner Set With Moroccan Argan oil-provides superior protection, moisture, and a lasting shine. Rich infusion of nourishing and cleansing elements provides a luxurious lather that leaves hair healthy, strong, vibrant and manageable. Gentle enough for permed or color treated hair. Infused with Hydrolyzed keratin & collagen Amino acids for stronger healthier shiny hair. We care and we want you to receive our products fast, Enjoy using it and benefit from it. Please expect some regular post office deliveries could take from 7-30 days (average 14) depending on the country. So please if there are any delays. Its not us and it should not effect our feedback -By purchasing you agree not to leave negative feedbacks due to post office delays. Thank you for your business. The item "Best Formaldehyde Free Brazilian keratin Blowout hair treatment made USA 1000ML" is in sale since Tuesday, September 11, 2012. 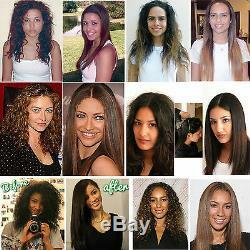 This item is in the category "Health & Beauty\Hair Care & Styling\Relaxers & Straightening Prod". 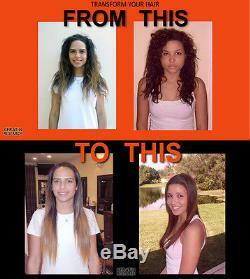 The seller is "hair_experts" and is located in Fort Lauderdale, Florida.